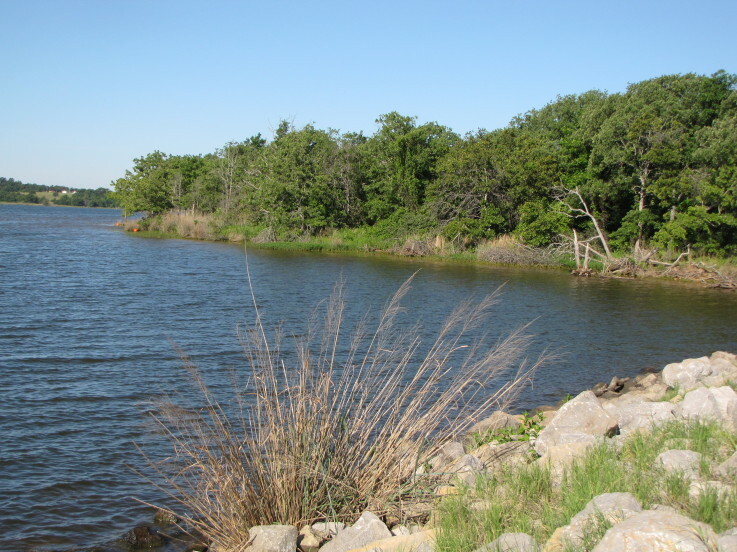 Wes Watkins Reservoir in central Oklahoma is located in the center of the city of McLoud. 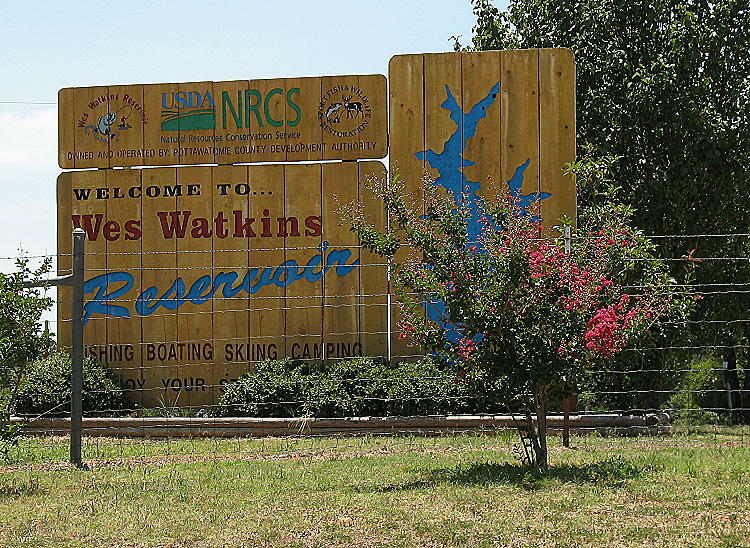 Wes Watkins Reservoir has 1,142 surface acres. 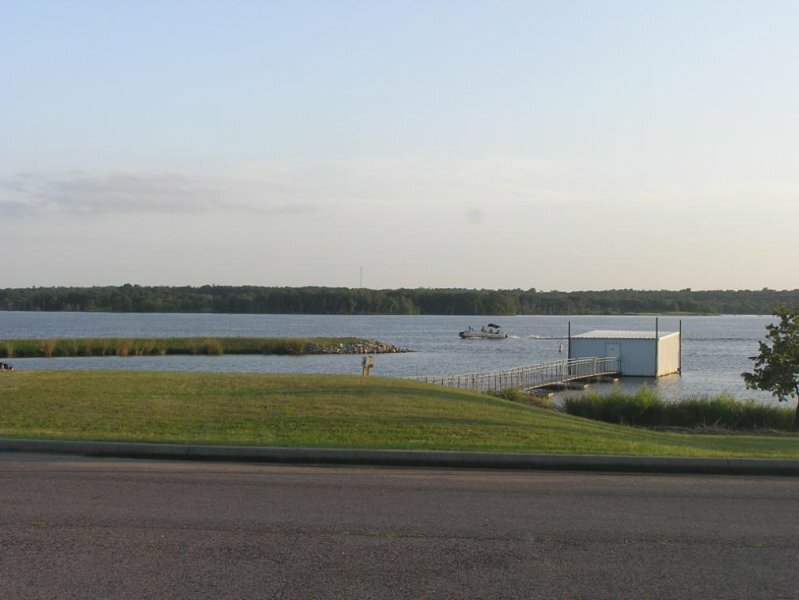 Wes Watkins Reservoir is one of the youngest lakes in Oklahoma, and it is a great location for camping and fishing. 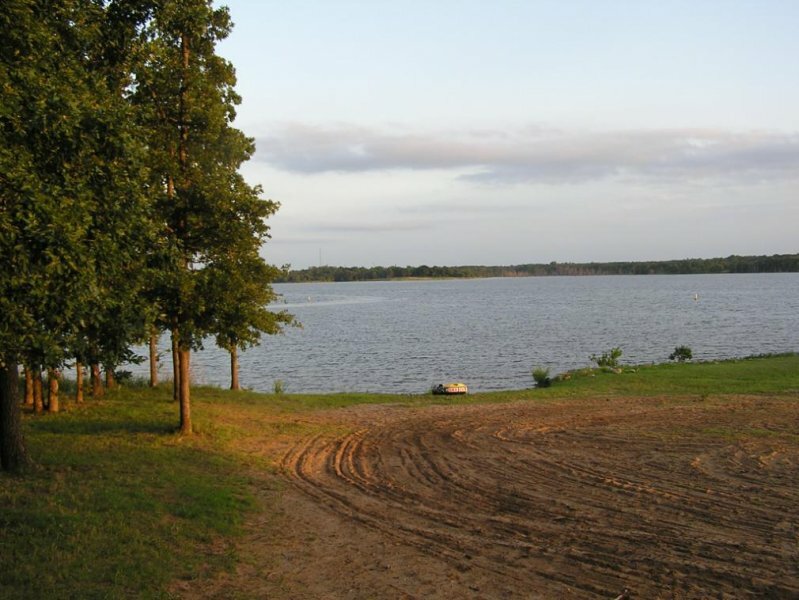 Scroll down and read more about all the great things to do at Wes Watkins Lake! 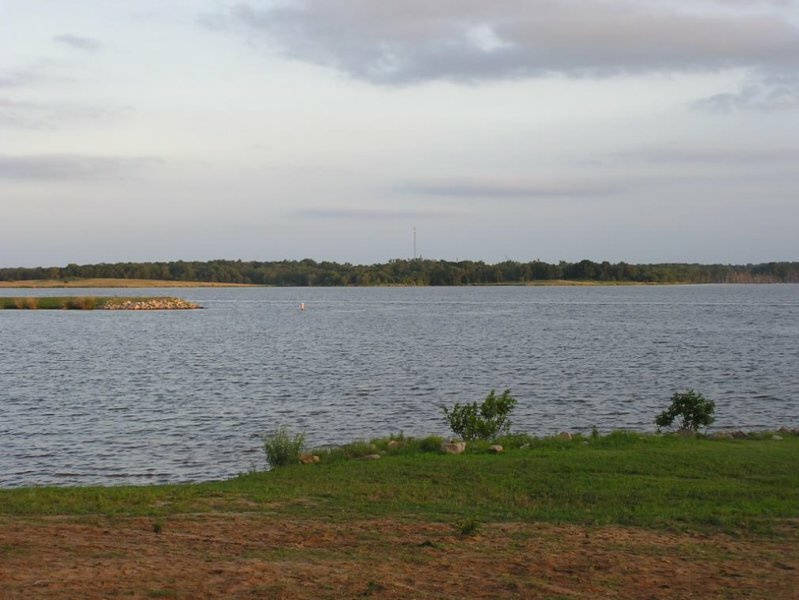 Wes Watkins Reservoir has 1,142 surface acres. From Oklahoma City, take I-40 east to McLoud exit #176, go north on McLoud Rd 2.5 miles to Redskin Rd, go west on Redskin Rd 1 mile to Arena Rd, then go south on Arena Rd 1 mile. Road ends at lake entrance. 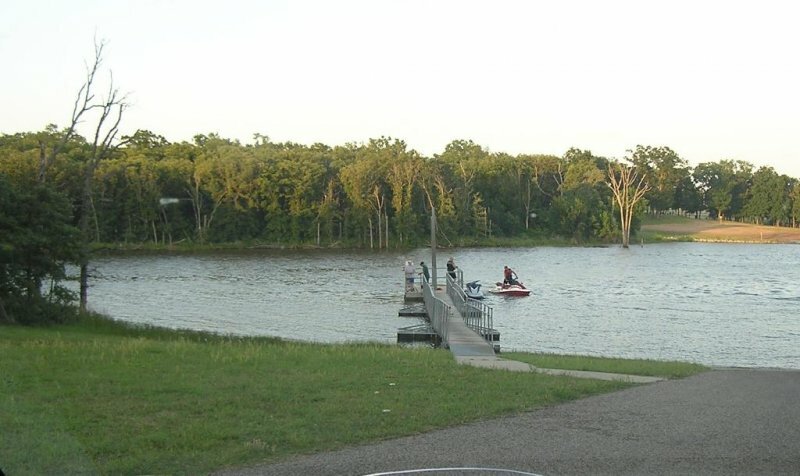 It is really hard to find much info on Wes Watkins lake. I used to fish it a lot but it has been several years. I can’t find what the fishing/boating fee is now and how late you can fish. Before we always had to leave 30 minutes before dark. I like catfishing there but the cost became prohibitive. I have heard it went down but can not confirm it. I usually go some place else because I can’t find the info. Here are rules and regs I found. Thanks for the comment. We will find out that info and update the page. The reservoir is open 24 hours with an honor box in place. 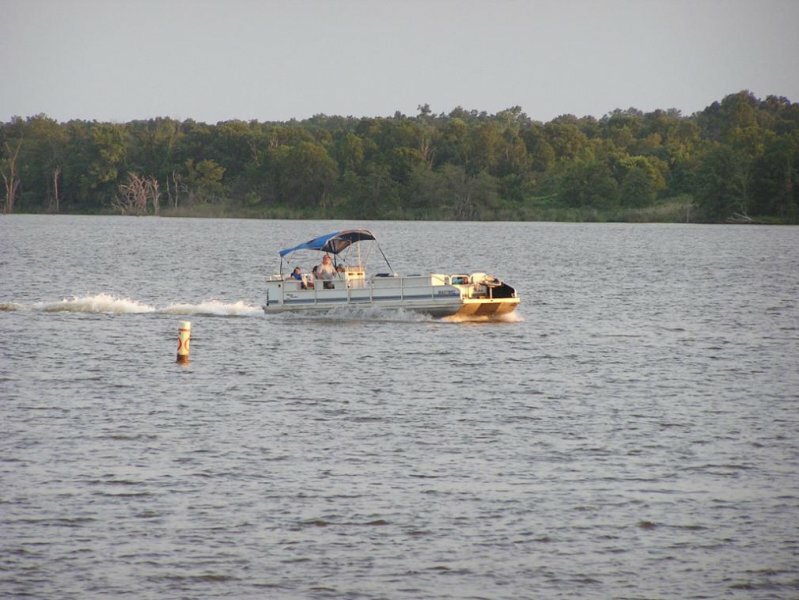 The daily boating fee is $5 and the daily fishing is $3 per day. The camping fees are $10 a night for tent camping and $25 a night for RV camping ($20 dollars until July 1, 2014.) Thank you for your interest! Thanks for the info! So if I take my boat to fish, do I pay $5 only? Or do I pay the $5 plus the $3 for fishing? That is correct, it would be $8 for a boat and one person fishing for the day. Please feel free to e-mail us at recreation@dobsonteleco.com for a faster response. Thank you for your interest! Can you reserve rv camping spots ahead of time? Thanks for the reply! Are smaller fireworks allowed there during the 4th of July holiday, as long as the mess is cleaned of course?? Sorry, no. It against City of McLoud ordinance to discharge fireworks at any city park and will be police enforced. We were there for a little while this past Sunday and we saw different campers with campfires. I cant for the life of me remember if each camp site had a fire pit though. Do you happen to know that? Most sites have temporary fire pits that have been dug by past visitors. You are welcome to use those at any time as we are not currently under any burn bans. Thank you for checking! Please feel free to e-mail us at recreation@dobsonteleco.com! 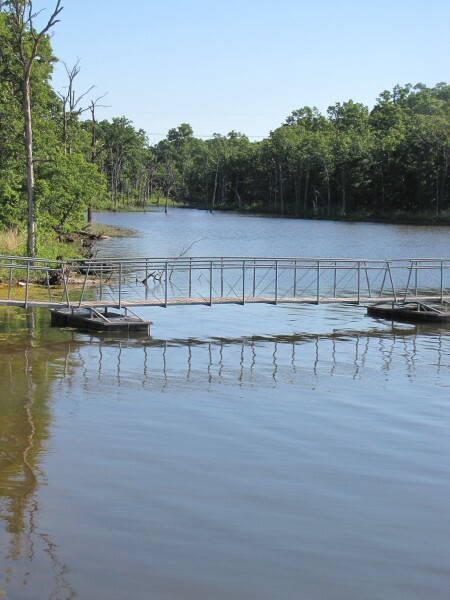 Is camping in designated spots only or can we setup tents for overnight fishing close to the water? If they are in designate spots only are there any designated spots close to the water? Maybe within 15′ of the water. Also whats the rules of campfires close to the water? How close can they be? 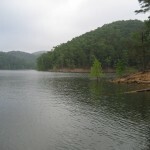 Camping at Wes Watkins Reservoir is on a first come first served basis and is also done on the honor system. 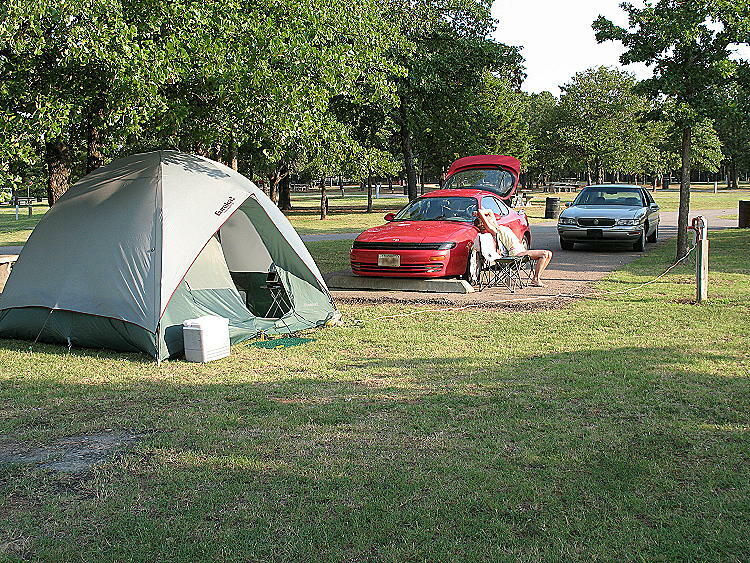 Tent camping is $10/night and RV is $25/night with the tent sites being closest to the water. They have recently done some clearing and have made a more direct path straight to the water. It is a little bit farther than 15’. As far as campfires go they request that fires not be on the beach nor that they be bonfire size. A small campfire is appropriate. and or could we make reservations? There are large group pavilions that can be rented for a small fee. You can call 405-964-4507 to make your reservations. Thank you for using outdoorsok. 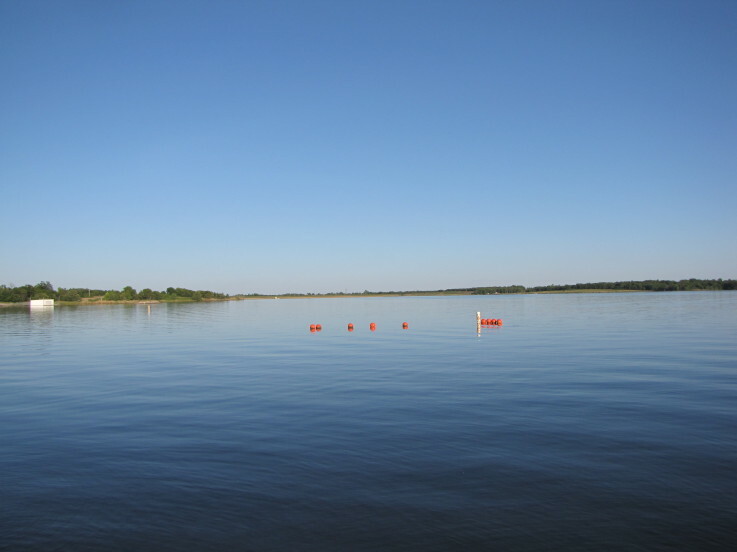 Unfortunately, fishing by jug line is prohibited in all areas of the Reservoir. As of now the tent camping at Wes Watkins Reservoir does not have electric hookups. The only time you are able to use the rv spot for tent camping is if you have a medical reason to need electric hookups (i.e. CPAP machine) this does have to be cleared with the park manager. Thank you for using outdoorsok. Does the lake have monthly rv rates or is it still $25.00 a day? Right now the RV rates are still $25.00 a day. Are there boat rentals available? If so, what is the cost and what are the operating hours? 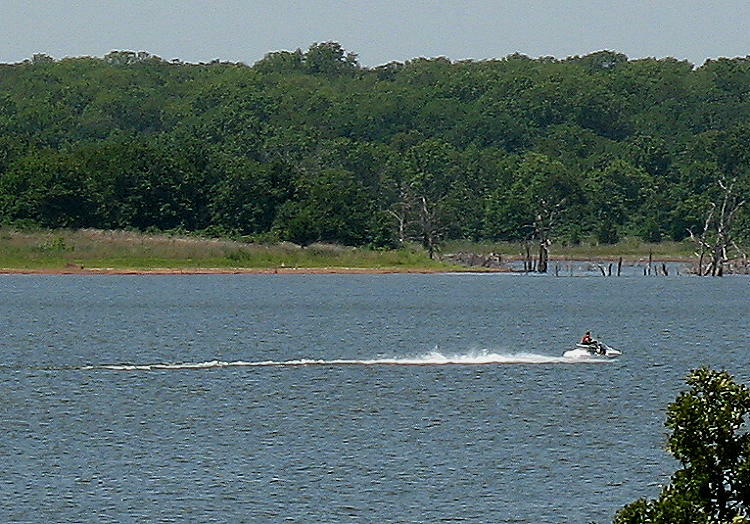 Todd, please call 405-964-5264 to see if boat rentals are available for Wes Watkins Reservoir.